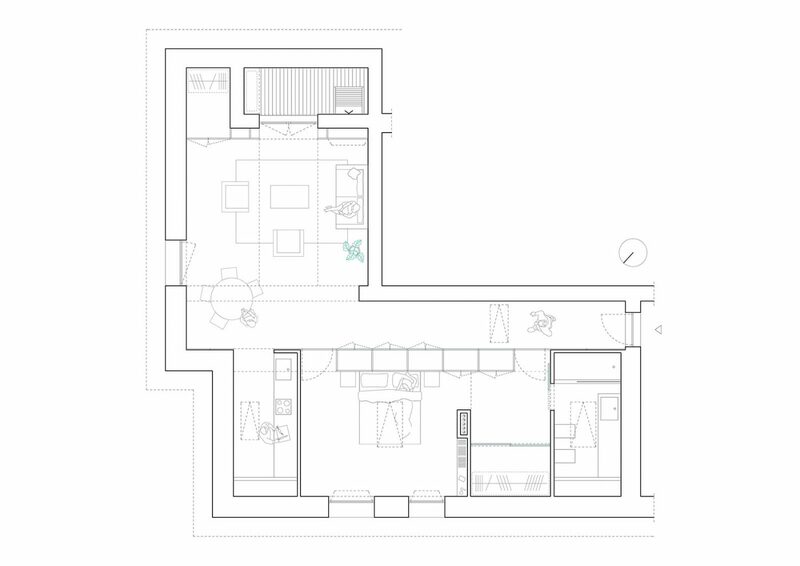 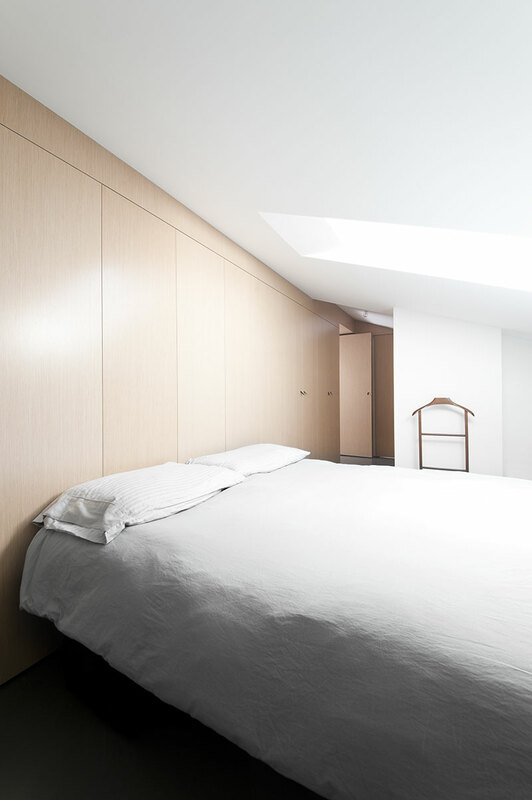 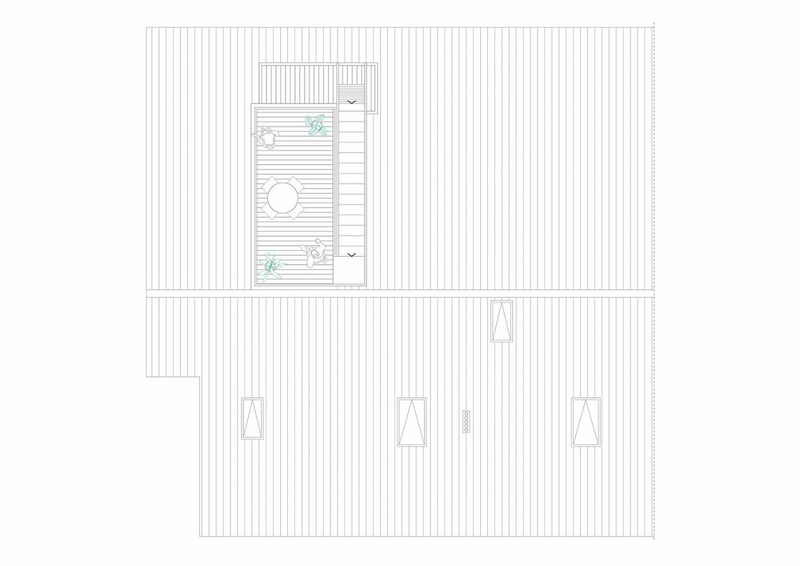 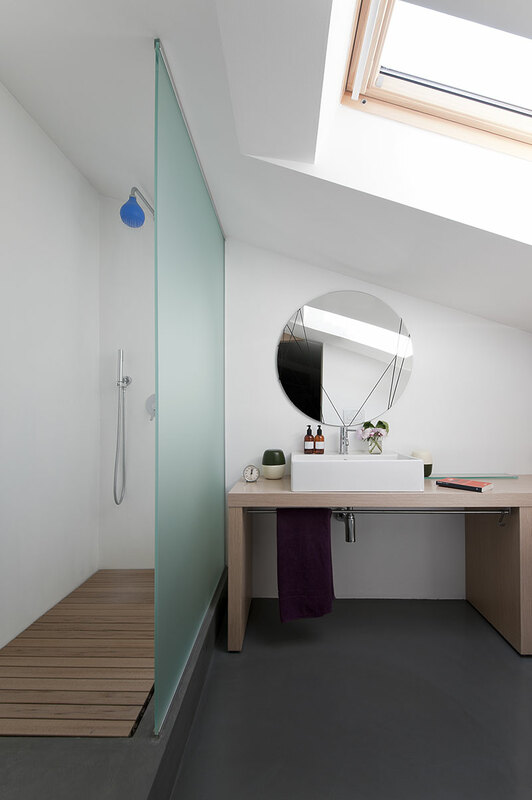 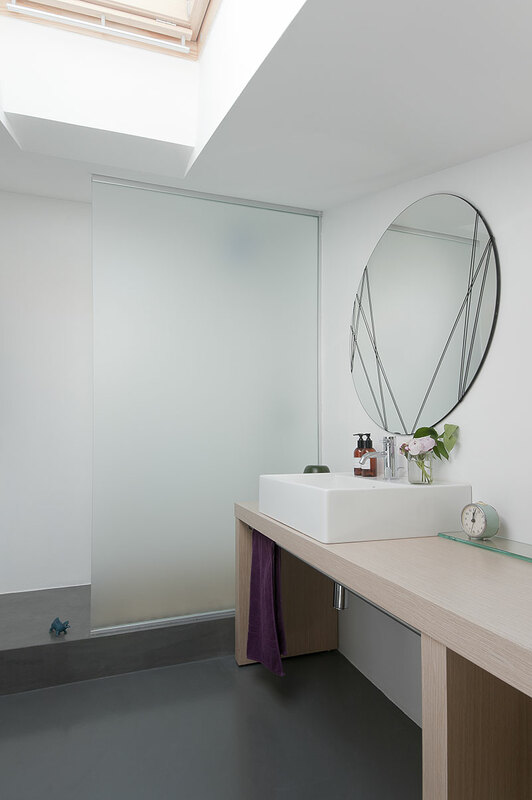 The young client’s request was to create a dynamic space with a sleeping area, a bathroom and a kitchen, as well as a storage space and a small outdoor area. 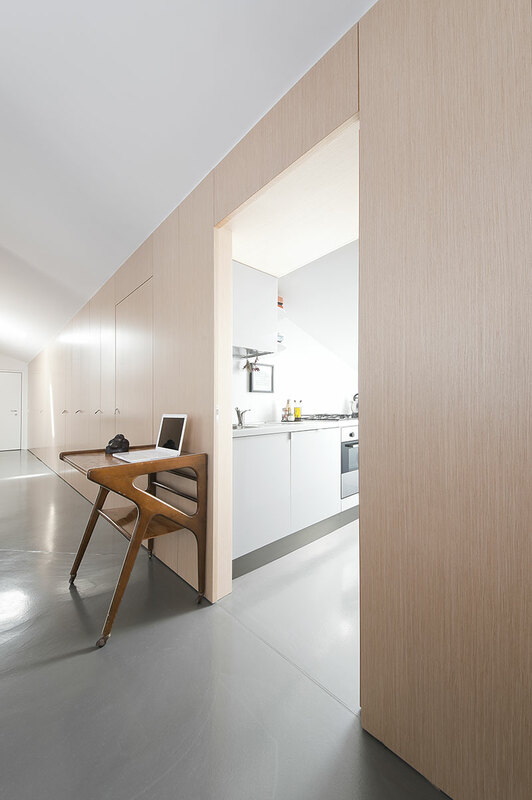 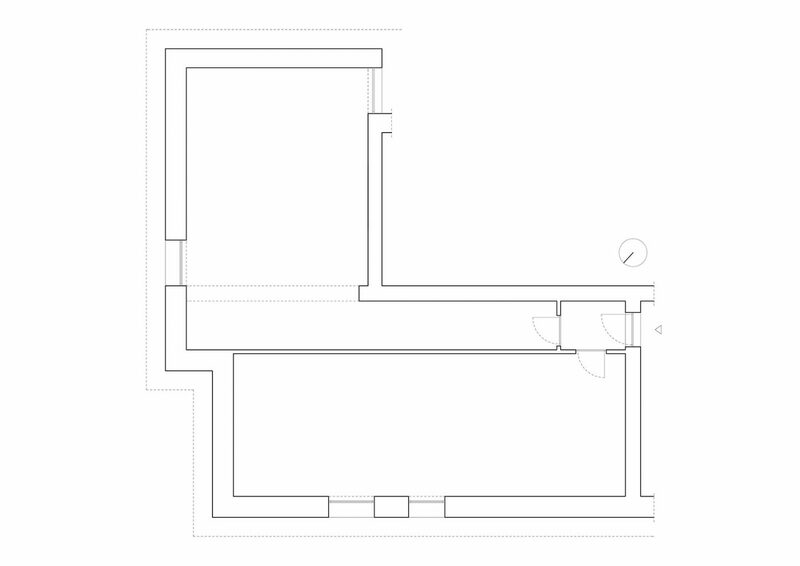 The apartment is characterised by the presence of a single element of fixed furniture, a diaphragm that divides the different rooms and acts as a container. 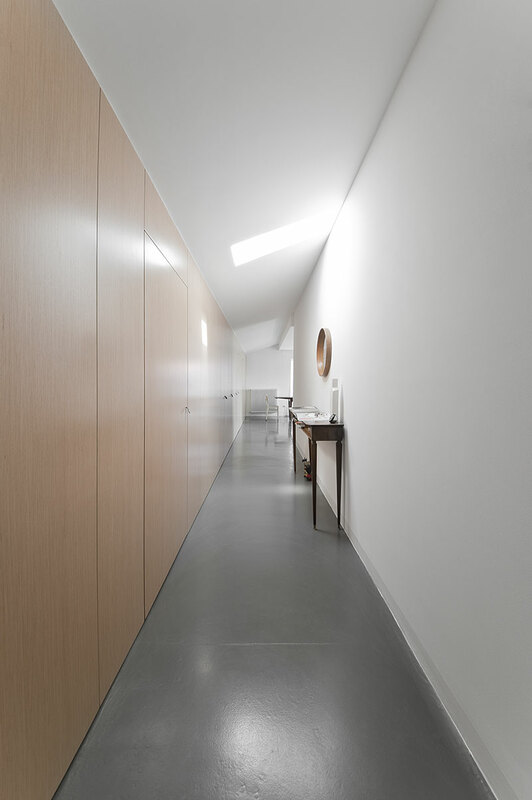 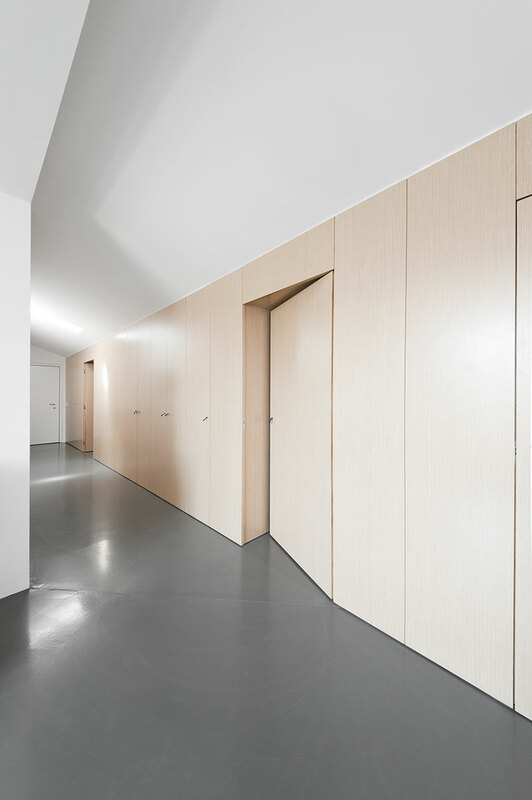 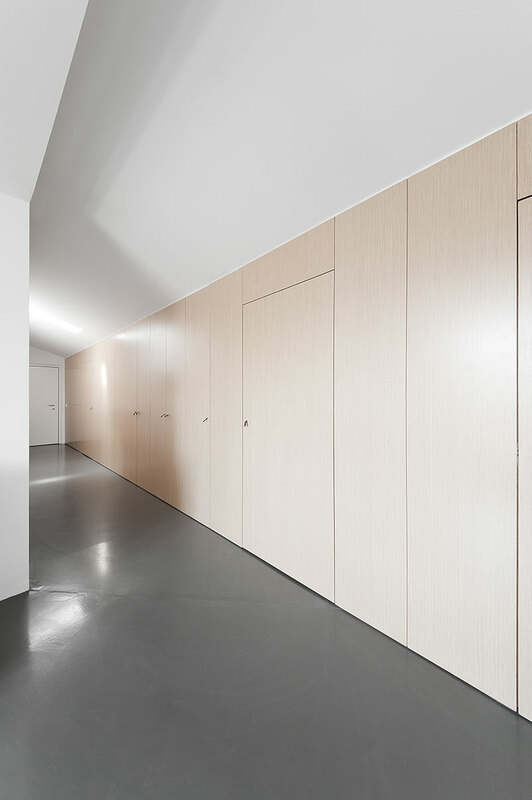 The wooden element manages the space of the house: an entrance that serves as a corridor/walk-in wardrobe, a sleeping area with bedroom, hallway, bathroom and a living area with a hall and a foldaway kitchen. 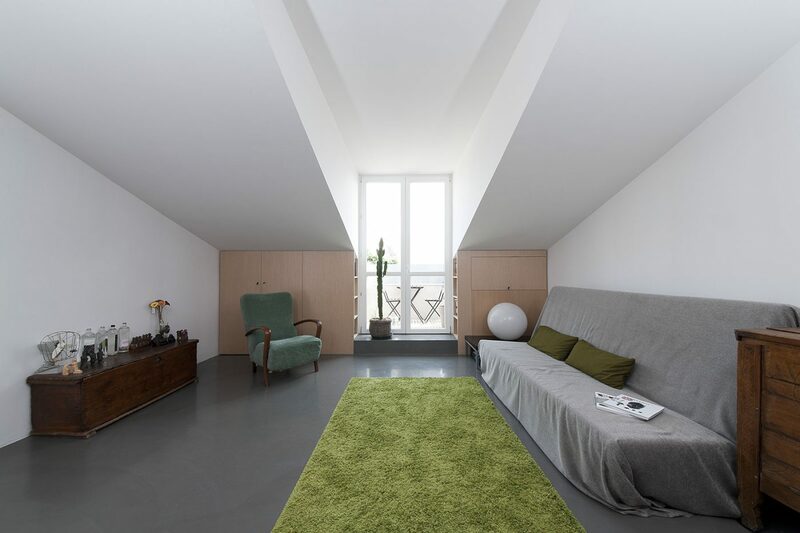 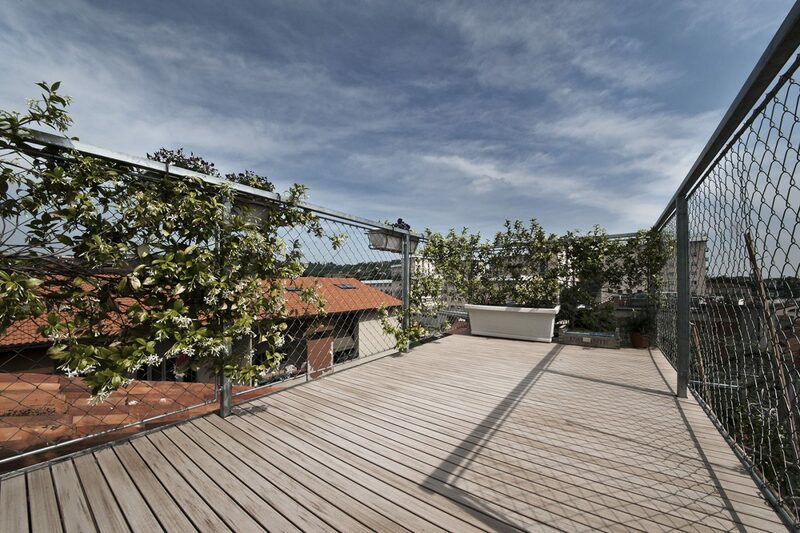 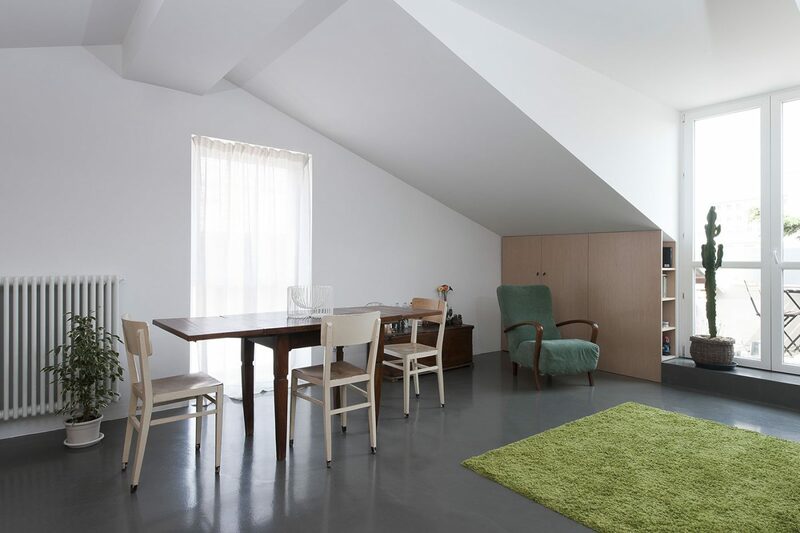 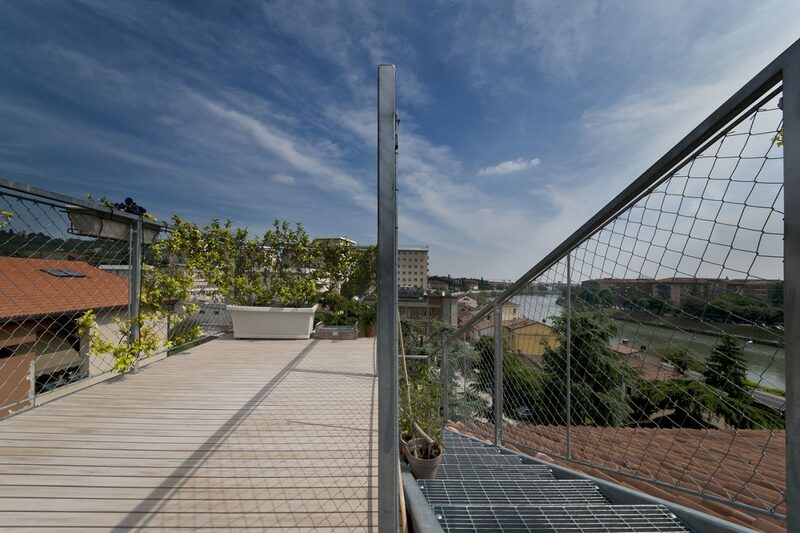 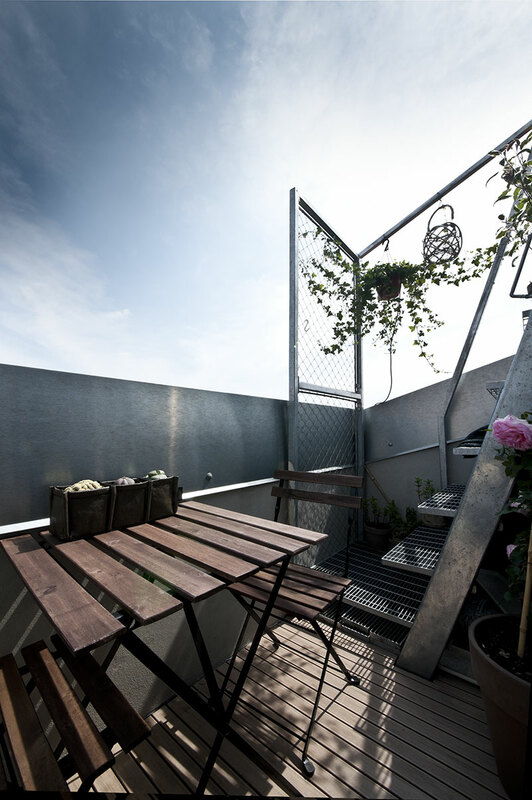 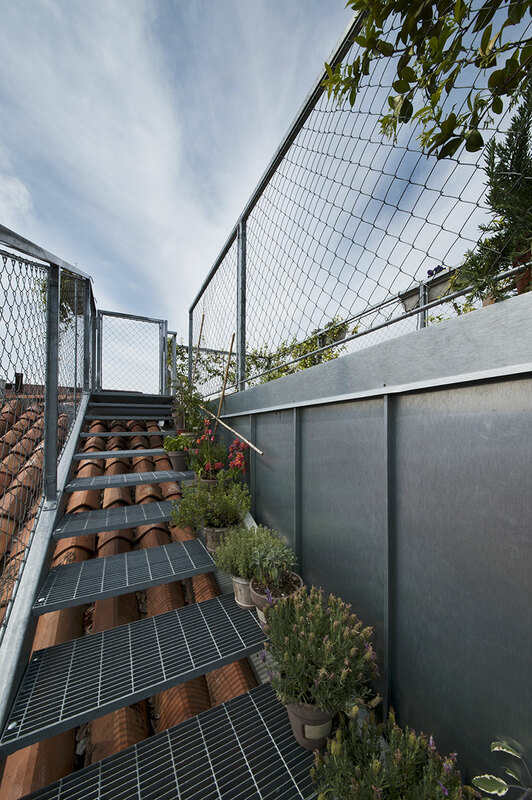 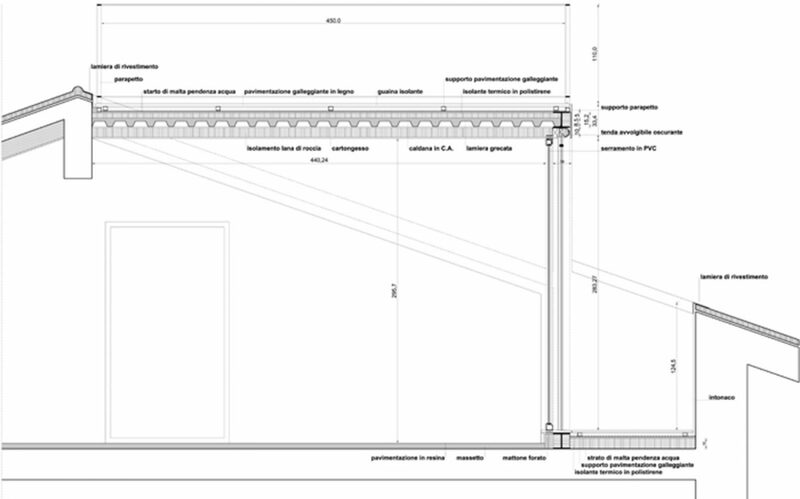 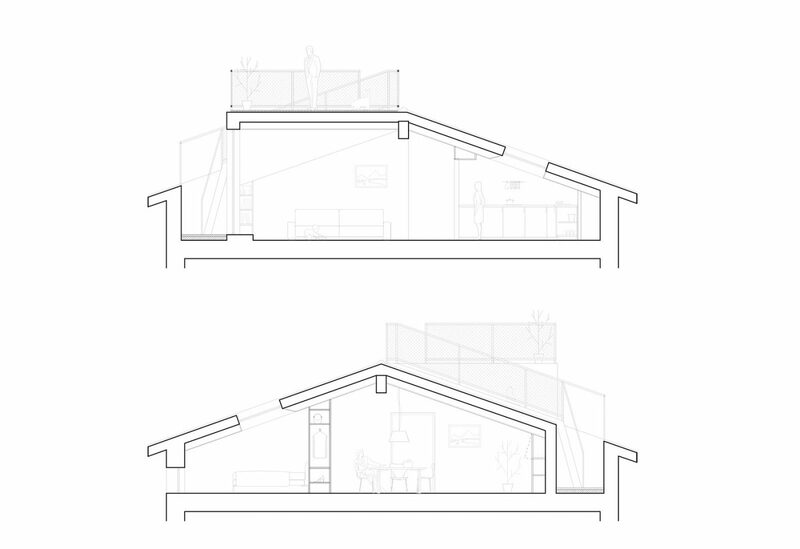 The attic window leads to a small pocket terrace overlooking the river Adige, from which a metal staircase leads to a terrace placed on the flat roof of the attic.